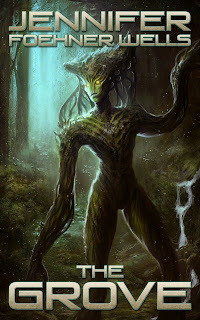 Ei’Brai is my favorite character to write. His arrogance is on steroids. His mind is astoundingly powerful but as an individual he is supremely vulnerable and needy—that’s a fascinating juxtaposition to explore. He’s also a completely different species—so his thoughts and actions should feel alien to us. That gives me a chance to really dive deep into my imagination, to try to imagine what life would be like for a sentient species that isn’t a bipedal hominid. This character has taken me to some really interesting places and I’m excited to keep plumbing that depth. I always look forward to writing him—and in the sequel to Fluency, I get to write from his point of view! That’s something I didn’t dare to attempt when writing Fluency for fear of it being too hard to not to give too much away too soon or to maintain his mysterious air. I haven’t had the opportunity to do a lot of travel, but as a college student I was lucky enough to do a semester in Costa Rica where I lived with two different families. For two months I lived with a family of eight that lived remotely at 10,000 feet on the InterAmerican Highway, I got to see a side of life that I had not known as an American. My host family didn’t have a phone or a refrigerator or running water. They had very few of the things that most modern North Americans would deem as necessities, but they had all they needed—the love and care of a large extended family, plenty of food, adequate shelter—and they were very happy. It was eye opening. It changed my perspective forever. After living there with them I no longer longed for wealth, but for comfort. It was a good lesson for a young adult to learn. I am DEVOURING all of the work of N.K. Jemisin. I don’t normally read fantasy. It doesn’t normally appeal to me—I’m more of a SciFi/Space Opera reader. But I picked up The Fifth Season because I want to read more writers who aren’t old white dudes and her novel was being acclaimed because it addresses racial issues in a new way. I was blown away by her style, the depth of her writing, the complete immersion I felt while reading it…it hit every note for me. I felt like I was a child again, reading good books for the first time. It was magical. When I finished that novel (it’s the first in a trilogy and was just released so the rest aren’t out yet) I had a monstrous book hangover, so I am now reading The Hundred Thousand Kingdoms. I will be campaigning for Jemisin to win the Nebula and Hugo this year. Crazy good fiction. Must read. I do a very rough outline before I start writing a novel. I use a 4-act story structure and plan out the major plot points. But all of the details in between are left up to my imagination as I go—and sometimes I come up with a better plot point as I’m writing and revise my original outline to fit it. Every morning before I start typing, I jot down notes longhand into a notebook—often I write down what I want to achieve in a scene, what my characters are thinking and feeling, their goals, as well as snippets of conversation, bits of action I want to include, things like that. Then I start typing. Gwendoline Christie, the actress who plays Brienne of Tarth on Game of Thrones. Here is a woman who is even TALLER than me (pretty rare—I’m 6’ even) and she has grace and style and she’s so freaking badass. I don’t follow a lot of celebs. I don’t know half of the celebrities that people mention on social media. They are just people like you and me who happen to be in the limelight. But Christie is an amazing individual. So talented. She is such a joy to watch on the screen. Jennifer's bestselling debut novel is a mix of space opera, science fiction adventure, and SFR. You can pick up a copy at Amazon, Kobo, or iBooks. 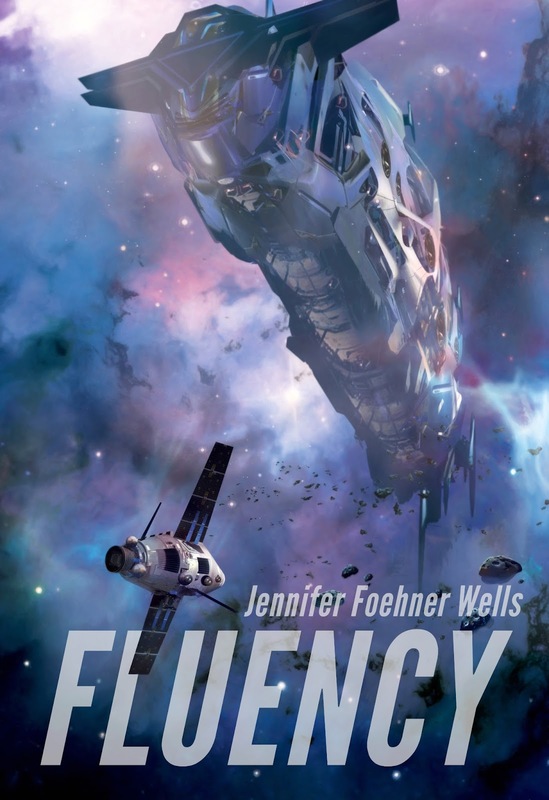 Remanence, the sequel to Fluency, will come out early next year. 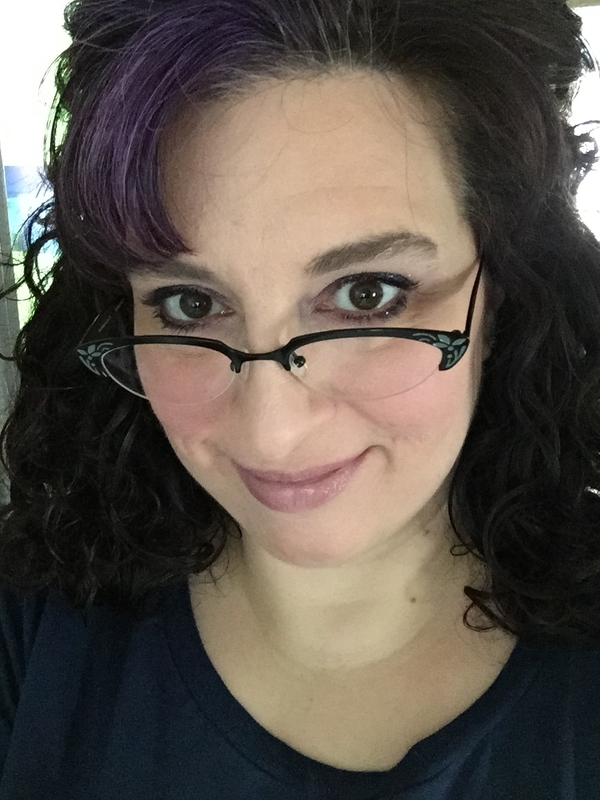 Readers who want to check out Jennifer's writing for free can sign up for her newsletter and get a copy of her novelette The Grove at www.jenthulhu.com.